Okay, folks. I’ve seen it happen to many of the webcomics I enjoy, and it’s happening here. Monster Isle‘s short break is now extending to an indefinite hiatus. I was hoping to have the strip return by the end of the year, but I simply can’t keep working on it and keep my sanity. If you are new to the site, I invite you to take a look through the archives. There are 3 years worth of comics to enjoy! 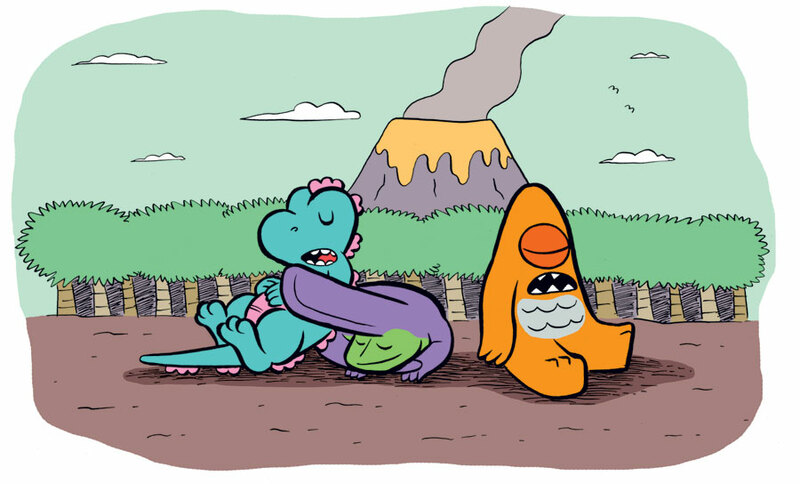 Hopefully I’ll be able to check back in with the Monster Isle crew from time to time, but for the moment I don’t want to have the question of, “When is the regular strip gonna start back up again? ?” hanging over my head, as a creator, or your heads, as readers. I hope everyone will keep an eye out on my homepage for news regarding my new graphic novel series, Mermin, as well as the work I’m doing for SpongeBob Comics, and more! I will say that there are new scenes and elements to Mermin Vol. 1 that were not in the mini-comics, and that includes a little something for Monster Isle fans. So check that out when it hits shelves in February! Thanks for all of your readership! I apologize for not being able to continue at this time, but the enthusiasm you have for the strip means a lot to me.